Bouquets of flowers sit on the porch of 2 Cats restaurant and inn on Monday, June 4 on Cottage Street in downtown Bar Harbor. The restaurant is owned and run by the family of Mikaela Conley, 19, who went missing late last week and whose body was found Saturday in woods less than a half-mile away. Maine State Police said Monday night that Jalique Keene, 21, of Bar Harbor has been arrested on a charge of murder in connection with her death. State police on Monday night charged Jalique Keene, 21, of Bar Harbor, in connection with the death of Mikaela Conley, 19. 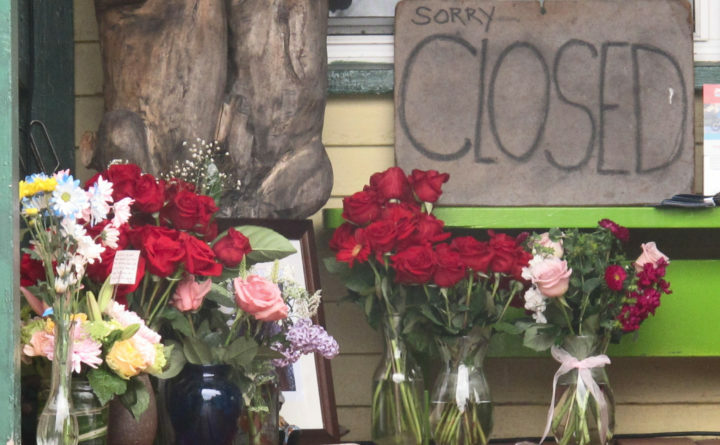 After her body was discovered Sunday, flowers were left at 2Cats, a Bar Harbor restaurant owned by the Conley's family. 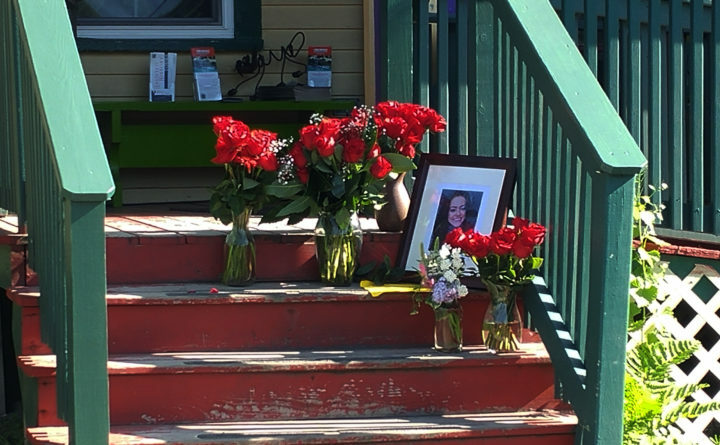 BAR HARBOR, Maine — A local man has been charged with murder in connection with the death of a 19-year-old Bar Harbor woman, whose body was discovered near an elementary school. Police arrested Jalique Keene, 21, of Bar Harbor on Monday night, charging him with murder in the death of Mikaela Conley, according to Stephen McCausland, spokesman for the Maine Department of Public Safety. Conley was reported missing Friday, and her body was discovered around noon Saturday in Bar Harbor, McCausland said in a statement released at about 9:30 p.m. Monday. Police have not released any additional information about the circumstances of Conley’s death. Keene was taken into custody at the Bar Harbor Police Department and was brought to the Hancock County Jail. His first court appearance will occur in Hancock County District Court on Tuesday or Wednesday, McCausland said. Conley’s family declined to speak with news media on Sunday and Monday, turning away reporters who have made inquiries at their business, 2 Cats restaurant and inn on Cottage Street in Bar Harbor. Members of the community have stopped by the popular breakfast spot to offer condolences, with several leaving vases of flowers on the front steps and porch. Arianna Pappas, 24, of Bar Harbor left a vase of flowers at 2 Cats on Monday afternoon, though she did not know Mikaela Conley. She said she attended MDI High School a few years before Conley did. Pappas said the news of Conley’s death and the rumors that she had been killed have rattled the town, which is just starting to get into its busy summer tourist season. Conley’s death is the first murder reported on Mount Desert Island since Jacqueline “Jill” Evans, 83, of Southwest Harbor was beaten to death with small ceramic gargoyle after a dispute over money in January 2006. Murder suspect Michelle Mills was awaiting trial when she hanged herself in her jail cell in September 2007. Searchers discovered Conley’s body Saturday in thick woods near Conners-Emerson School in Bar Harbor. An autopsy began Sunday and continued Monday with the determination that her death was a homicide. Residents assumed Conley, whose mother said she had been missing since Thursday, was the subject of the police investigation, though McCausland’s statement Monday was the first state indication of foul play. A short note posted Saturday evening on the Facebook page for 2 Cats told of the family’s loss and thanked the community for its support.